View cart “2-1/16″ BOOST, 0-60 PSI, STEPPER MOTOR, C2” has been added to your cart. Forced induction applications require precise monitoring of the boost pressure being created by your turbo or supercharger to get the most power safely from your engine. 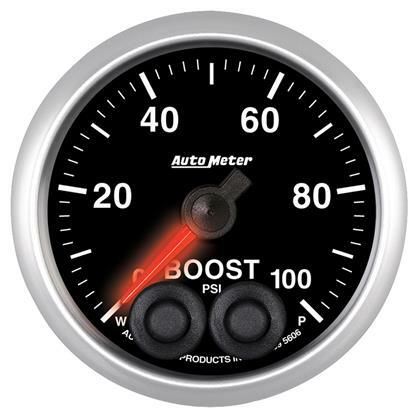 AutoMeter’s Digital Stepper Motor Boost Gauge provides the most accurate reading available, unparalleled response time and smooth needle movement. Designed for diesel or extreme boost applications, these gauges include a highly advanced 1/8” NPT Pressure Transducer and wiring harness for ease of installation. Data Logging is also possible thanks to an analog .5 – 4.5v output.